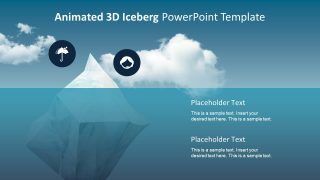 The Animated 3D Iceberg PowerPoint Template is the collection of eight brilliant slides. 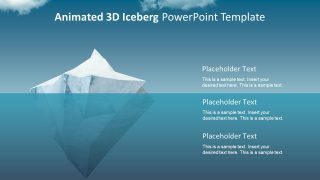 The 3D layout of these slides shows the incredible animation iceberg. It is a useful presentation to discuss the range of business models. Such as the marketing, management, human resource, and more importantly, the leadership success. Mainly, the iceberg diagram illustrates the concept of know and unknown information. What appears above the sea level is a fraction of what is below the surface of the water. Hence, the professional can use this template to describe several models. Like the iceberg model of success, marketing strategies, self-awareness etc. 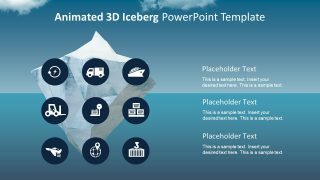 The animated 3D iceberg template shows several layout designs. 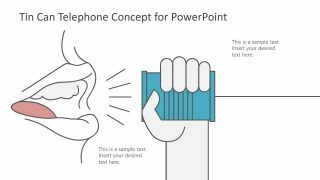 Like the tip of the iceberg or 4 and 2 segment slides with clipart icons. It provides a few more slides two content layout with text placeholders. 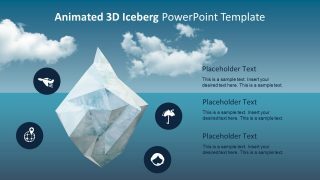 The Animated 3D Iceberg PowerPoint Template has an exceptional set of slides for planning and marketing. 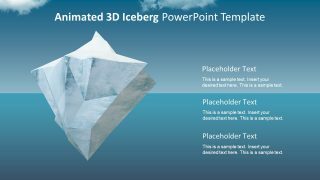 The slides of the iceberg template provide the amazing 3D animation layouts of the iceberg diagram. These animations include a special 360-degree angle rotation. 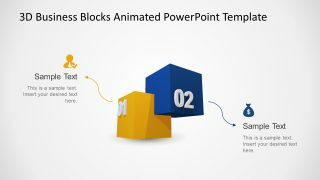 Along with several transitions, the PowerPoint offers the editable feature for such animations. 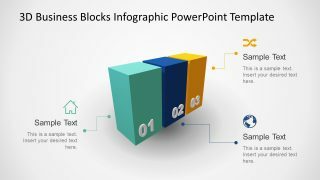 For instance, modifying the duration, and a clickable option for the PowerPoint object. 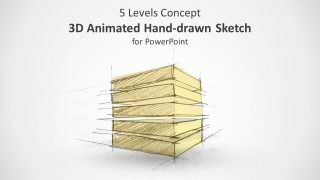 These animations and transitions are suitable for both formal business and personal-casual presentations. Therefore, it is a widely used tool to display visible vs hidden portions of any element. 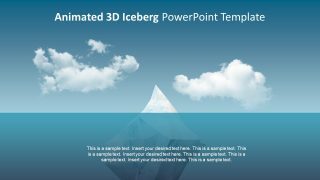 The Iceberg PowerPoint template of 3D animation is a business and management concept diagram. The tip of the iceberg can depict the product or the deliverables visible to the end users. Whereas, the rest of the iceberg underneath the surface illustrate the project cycle, quality and risk management. 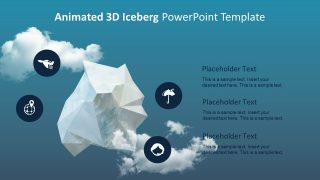 Th latest 3D animated iceberg PowerPoint is an easy-to-use and customize the template. Like the change in colors, sizes, and effects of both graphic and text. 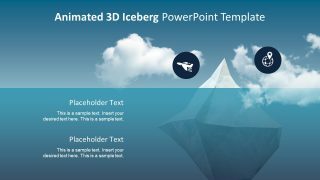 Furthermore, the iceberg PowerPoint can help demonstrate the problem solving and decision-making presentations.